Odd name . 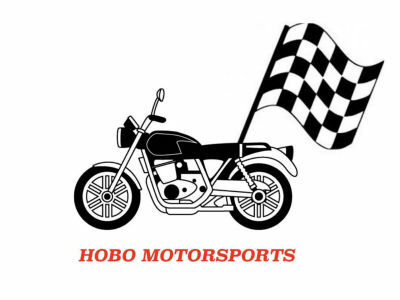 . .
Hobo Motorsports - you may think it a rather odd name and you would be correct but there's a story behind it . . . 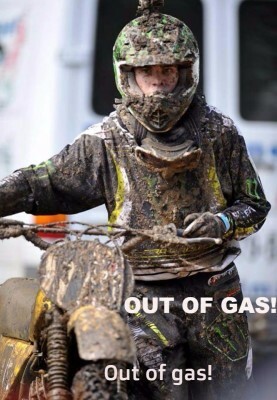 It's about our son Patrick, who died from injuries sustained in a vintage motocross race in August 2017 - just a couple months after graduating high school. 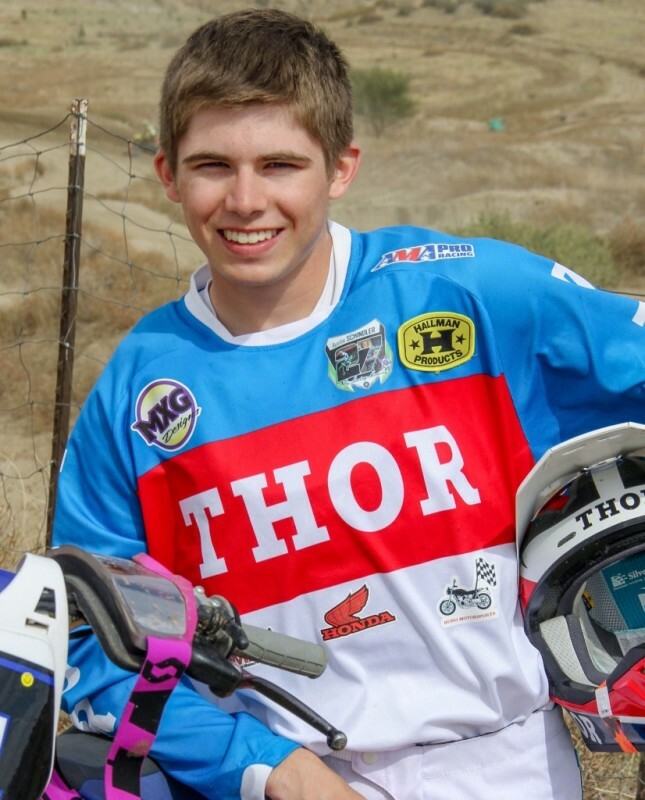 He had plans to study motorcycle mechanics at MMI and aspired to find his way into wrenching for a professional motocross team. Our lives came crashing down . . . all of the hopes and dreams suddenly vanished. Riding and racing was a passion Patrick enjoyed and which I completely understand. To ignore that would be to ignore part of what made him unique and I don't want to do that, hence the reason for kickstarting the "Hobo Motorsports" website. It will be painful at times but it's a way to tell his story - which is important to me. This site is to remember him and share a wonderful story of love. As a teenager, Patrick and his friend Ben (who is a few years older and has a bit of a redneck nature) always talked about oddball ideas and adventures. They tended to be centered around something motorized, had to be low-budget and a bit silly or outlandish. One of the things they often spoke of was the 24 hour of Lemons race. For those of you not familiar with it, it is a race where you have a limit of how much you can spend on the car (typically $500 - $1000) and you do a 24 hour endurance race. Though they never did get around to this, it embodied the whole aspect of cheap racing and just having fun. 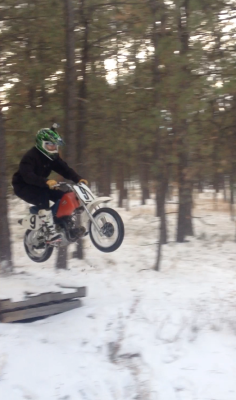 When Patrick had friends over and it would often involve riding his little XR70 or the quads and along the way an idea would come up of building a jump or doing something silly. Of course the Go-Pro or phones where always handy to record any chaos that ensued! So they came up with the name Hobo Motorsports. It's just meant to indicate a low budget, let's-just-have-fun approach to riding and racing. Being a teenager and immersed in social media he even started a Facebook page for Hobo Motorsports and started to put a few of their videos on it. that he created from clip art. When we decided to do the website we had his uncle Brendan do some upgrades: It now includes his bike, the checker flag morphed into a checkered bag and the X through the dollar sign on MotorSports highlights the fact we work on a limited budget. All in all we think he'd like the new look! He and I rode motorcycles together for many years, starting to ride at the ripe old age of five! 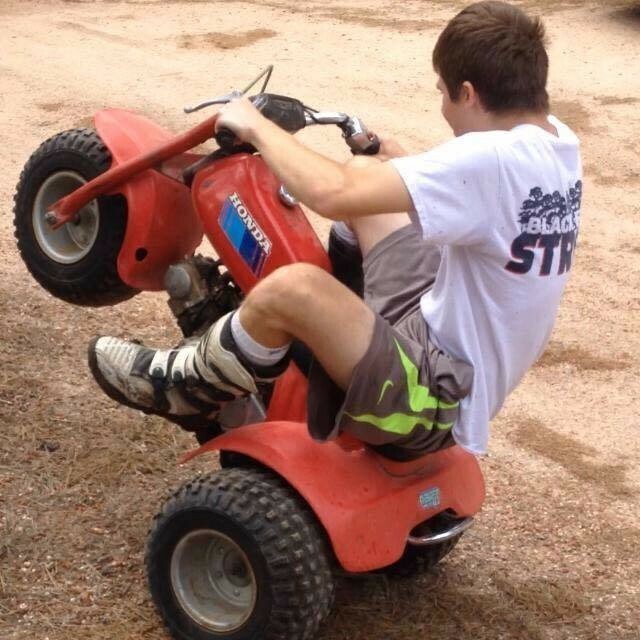 It progressed from riding around the property to ice racing, single track trail rides to motocross. 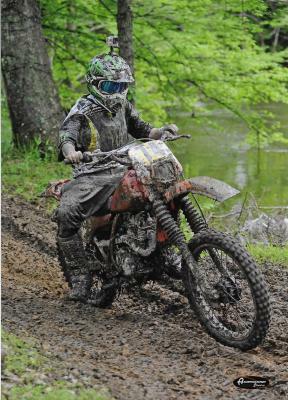 didn't stop him though; he forged ahead and signed up for the 2-stroke class with that bike. announcer sure got a kick out of it. No racing is cheap but we competed on a limited budget. New bikes were not an option. 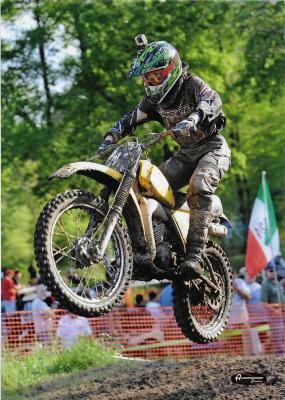 For vintage racing it usually involved picking up something rough and getting it restored into a race ready state. Being a mechanic/machinist by trade I was able to do this and particulary enjoyed doing it for Patrick. In 2015 we went back to the vintage event at Diamond Don's in Texas. 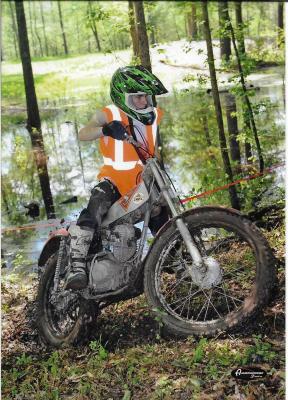 He was now old enough to compete in AHRMA classes and since I was not able to ride, the plan was to let him ride as many bikes and races he could that weekend. Patrick loved this little bike. In his senior year of high school we had plans to so something special that was motorcycle related. Several ideas just didn't pan out due to logistics but then he said "why don't we go back down to Diamond Don's". Getting to do another road trip and race with my son is something I always enjoy so I jumped on that! It was a memorable weekend. Not only was it warm and dry, he rode great. 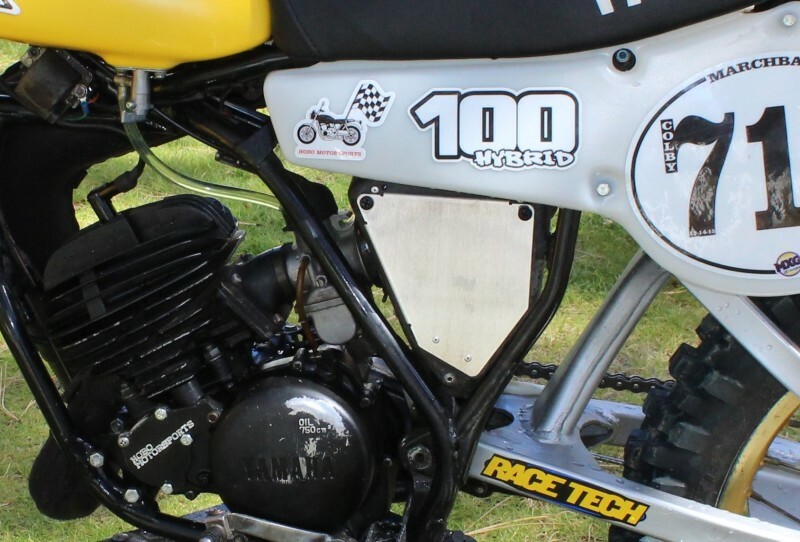 He took a second in the intermediate 100cc race on Saturday then said he wanted to try signing up with the experts for Sunday. There's some fast company in this group such as former pro Guy Cooper (a regular at Diamond Don's and all around nice guy) . The schedule for the day gave Patrick back to back races. 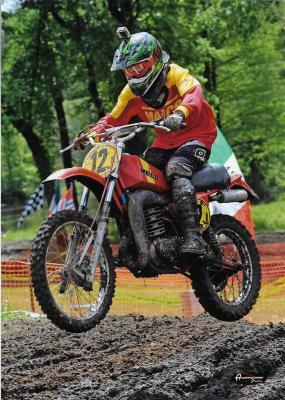 He won both motos of the 125 intermediate race but then had to immediately line up for the 100cc expert race. 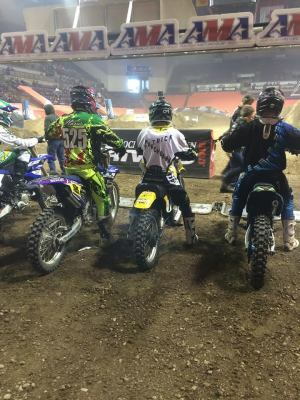 In the first moto he started in 3rd having a great shot of Guy in his GoPro footage. He slipped back for mid pack finishes but it was a good result for his first try running with the experts. This is a brief history of how it came about. Patrick was many things, he also loved music; playing in many of the school bands & jamming with his friends. We all are remembering him in different ways. My wife continues to engage with the band as she was heavily involved in that during Patrick's school years and it's a part of what she remembers of him. For me the tears I cry are my own personal pain; it reminds me of how special he was and I never want that to fade. Being Patrick's father was one of the greatest joys I've had. While it would be easy to close the doors and let this consume me, I also want to tell Patrick's story and Hobo Motosports gives me a voice to do this; it's my tribute to him. SRAC did a parade lap in honor of Patrick for the final chamionship race at Aztec. Ryan Helger at Intensity Videography captured this and created a tibute video.